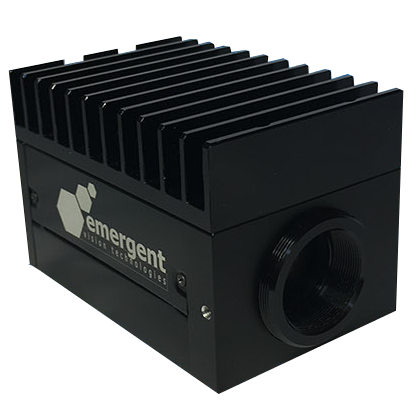 The brand new 50MP cameras HR-50000 is setting a new standard in advanced imaging technologies for applications ranging from broadcast sports to high speed inspection. At full resolution (7920×6004), you get 23 frames per second at full resolution. Like all Emergent Vision cameras, the HR-50000 & HT-50000 series offers various triggering modes for the precise synchronization at <1µs. This combination is ideal for any application needing to see the details at real time imaging speeds. Overall, the HR-50000 & HT-50000 deliver the resolution you need at unmatched speeds..
All EVT cameras are in full compliance with the machine vision standards GigE Vision® and GenICam™ which ensures the interoperability with all major software libraries. Our fully owned and robust camera driver in combination with our feature rich Software Development Kit eSDK ensure the fast, easy and hassle-free software integration in Windows™ and Linux based systems. Overall, the HR-20000 delivers the resolution you need at unmatched speeds. 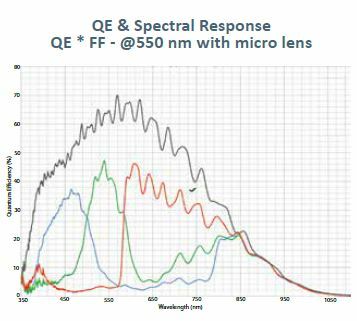 High Sensitivity Perfect for low light imaging applications.